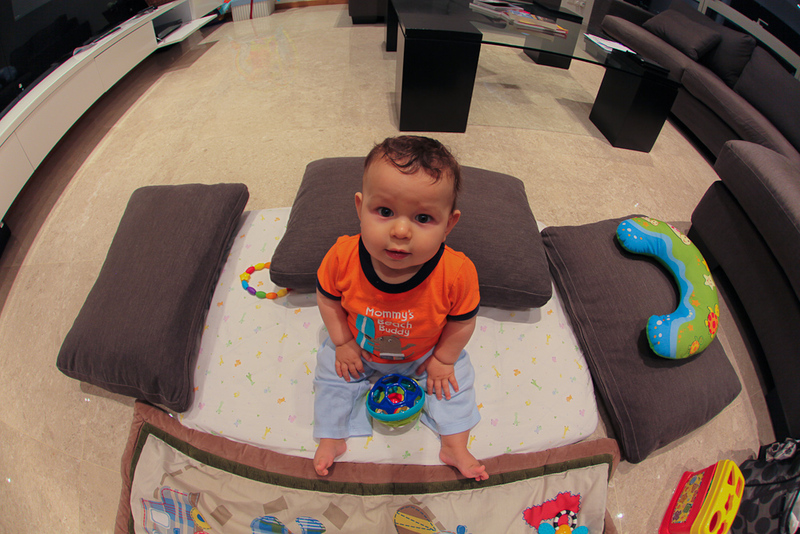 Now that Cam sits on his own, he loves to play on the floor with his toys like a big boy. One of his favorites is his plastic ball. He doesn’t quite grasp the concept of “catch” but before you know it, he will be throwing 90+mph cutters at opposing batters in the Little League World Series. Until then, he will have to settle on rolling the ball to me! I love this!! 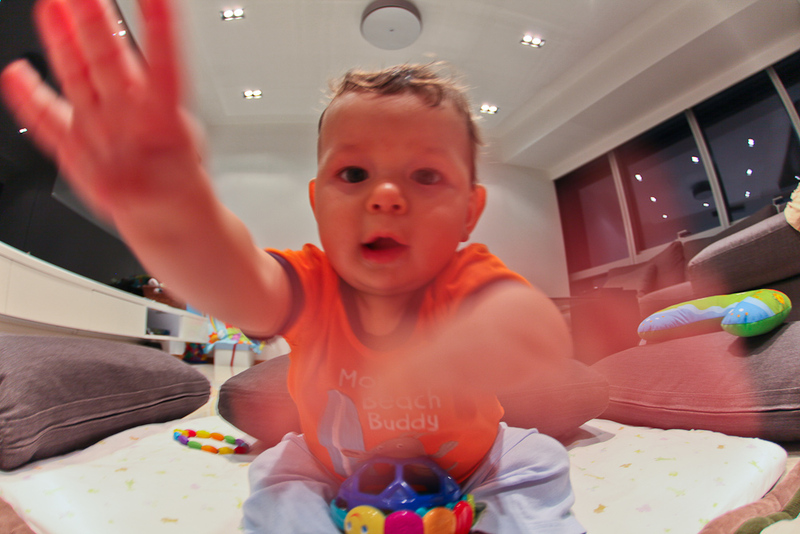 I have 1,000 pictures of my kids “grabbing the lens”!. He such a handsome guy! Your place looks amazing! Thanks for the comment! 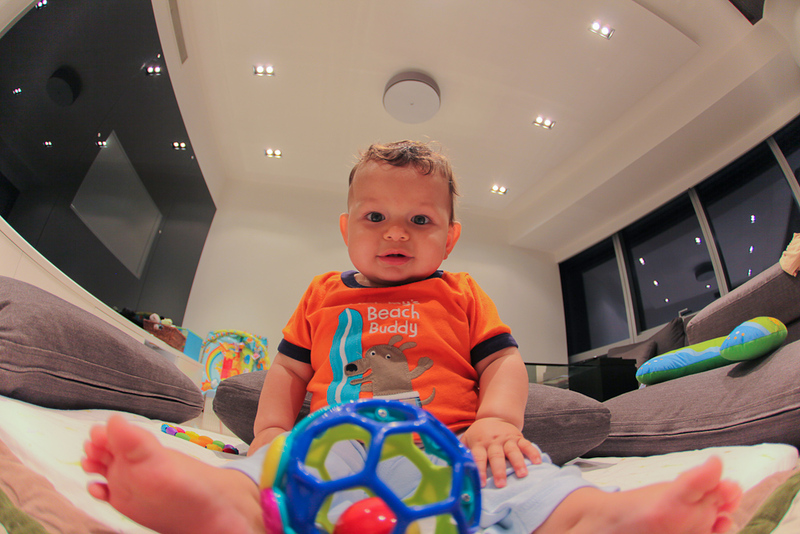 We do enjoy snapping pics of the big guy. Lots more adventure ahead!